The top 8 qualifiers for the Tennis Masters Cup in Shanghai. In 2005 the venue for the Tennis Masters Cup Final—the ATP’s year-end championship—moved to Shanghai from Houston. Awarding China the honor of hosting the event was a coup—a great step forward in promoting professional tennis to millions of new tennis fans. The Chinese, increasingly enamored of men’s professional tennis, especially the play of Roger Federer, the current world No. 1, felt pride in providing the best possible environment for the players. Problems, however, facing the ATP and the sponsors of the event to be held in Qi Zhong City Arena for the first time had nothing to do with the Arena or any physical accommodations. As the tournament neared, No. 2 Rafael Nadal pulled out of the competition following the withdrawal of No. 3 Andy Roddick—both citing injuries. Also sidelined for the event was No. 4 Lleyton Hewitt. No. 5 Andre Agassi along with Marat Safin, winner of the 2005 Australian Open, also pulled out of the round robin competition. The Florida Keys at the height of spring simply burst with “weather” in all its drama. Hot sunshine alternates with breezy outbursts. The coastal winds kick up the odd storm, then die away to leave air so heavy it presses like a saturated sponge on the forehead. Residents and visitors alike can take to the sea, or sink beneath the waving palms, indulge in every sport known to man, or simply sit back and soak in the atmosphere. The Miami Sony Ericsson Open, the second of the two giant Masters that bestride the early hard court season and the late spring of clay, is in full swing. It is surely the brightest and breeziest tournament of the year: the sprightly allegro before the transition into the adagio of the second movement on clay. Crandon Park, home of this popular tournament, is bright and breezy in the old fashioned sense, too. It wears its heart on its sleeve, burgeoning with primary colors, Mexican waves, and more diversions from the tennis than you can count. Perhaps it is the humidity—touching 90% at its halfway point. Perhaps it is the ebullience of the Latin American fan-base, here to support a wide field of south American players. Perhaps it is the temperature, soaring from a night-time in the 50s to a daytime approaching the mid-80s. Or maybe it’s the uncertainty of what tomorrow will bring: thunder and lightning or cloudless skies. Whatever it is, Miami seems to live for the moment. David Nalbandian and Roger Federer have fought each other long and hard on tennis courts around the world since their days on the junior circuit with Nalbandian usually winning those early contests. The Argentine’s game when he plays it at his best makes him almost unbeatable. Early on in his career Nalbandian was a superior player to Federer who often could not control his emotions, losing his way in a match. The wily Argentine recognized this fact and took full advantage. Once they turned pro, Nalbandian won their first five matches. It wasn’t until they met at the year-end 2003 Tennis Master’s Cup in Houston in round robin play that Federer was finally able to defeat Nalbandian 6-3, 6-0. Even so Nalbandian finished 2003 in the top 10 for the first time in his career. Even as Federer began his remarkable winning span from 2004-2007, Nalbandian continued to rise up periodically and remind the Swiss of his roots, back in the days when Federer could be flummoxed by the consistent play and tenacious returns that the Argentine was capable of delivering. The 2005 Masters Cup Final was one of the rare times when Roger Federer was unable to pull out a clutch victory. These were days before Rafael Nadal supplanted the underachieving Nalbandian as Federer’s chief antagonizer—preying on the mind of the Swiss Maestro. The great Nalbandian not only possessed a keen tennis mind but was renowned as one of the cleanest ball-strikers in the game. 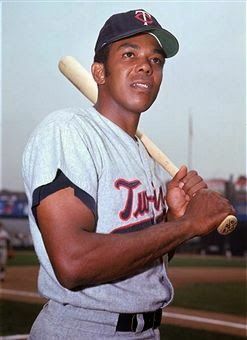 He understood that hitting the ball flat with power deep in the corners in order to rob the Swiss of time could bring the great man down if you could sustain the pace and continue to hit the lines. It was not an easy task, but it could be done. 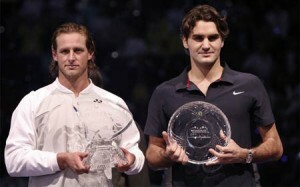 Nalbandian enjoyed defeating Federer—the No. 1 player in the world—more than any other player on tour. What is more, he had the game to do it.